Tell your money where to go. Don’t ask where it went. We spend a lot of time here kicking around different ideas on how to manage your money. What’s the best way to spend it, save it, and invest it? It’s all about controlling your money rather than letting it control you. From the beginning, I intended the “balance” part of Balance Junkie to be a bit of a double entendre. It refers to the quest for a healthy financial balance sheet as well as a well-rounded life balance sheet. Putting money in its place means paying enough attention to it to manage it wisely, but not enough to let it become more important than it is. Today we take a look at how to balance these dueling propositions. The term micro management usually has negative connotations. It implies that we’re paying too much attention to details. That can definitely be a problem in personal finance. Sometimes we get so determined to do the right thing with our money that we forget the reasons we took up the challenge in the first place. Track Spending: use a pen and paper, spreadsheet or software program. It doesn’t matter. Just know where your money is going. Whether you track it to the nearest dollar or hundred dollars isn’t as important as just doing it. Budget: Once you understand where your money is going, it’s time to control the flow. Can you increase your income? Can you cut back spending in some areas and redirect that capital to something you value more? 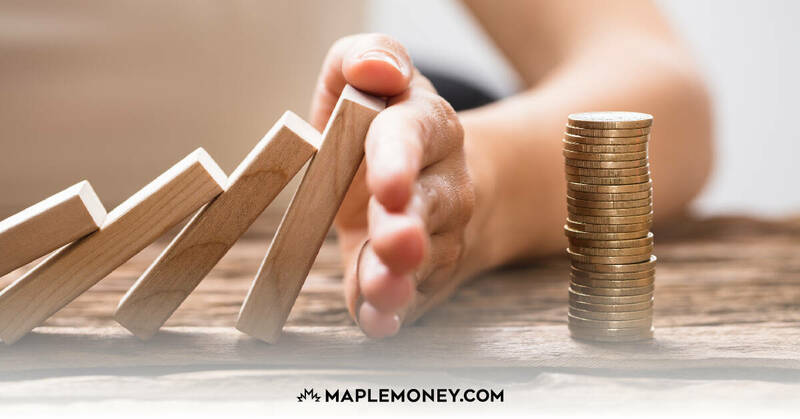 Saving: Paying yourself first has almost become a cliché in the personal finance realm, but it’s still one of the best ways to reduce money stress. Investing: Now that you’ve saved some money, why not put it to work for you? We debate here all the time on the best way to do that. Regular readers know that I think there are lots of ways to create a balanced portfolio. Your way is the best way, whether you’re invested in a Bank CD or a growth stock. As long as your net worth chart is more or less headed higher, the rest is irrelevant. There’s a great asset allocation plan out there somewhere for every personality type you can imagine. 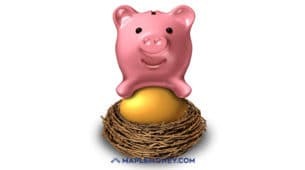 Retirement Planning: One of the main reasons to keep on top of your financial progress is to make sure you’ll have enough money saved to support yourself once you decide to stop working – or are no long able to work – for income. As my friend Jim Yih says, saving for retirement is simple, not easy. Most people who are close to, or in retirement say that the one thing they regret in terms of retirement savings is not starting sooner. If you haven’t started planning for your future already, now is the best time. 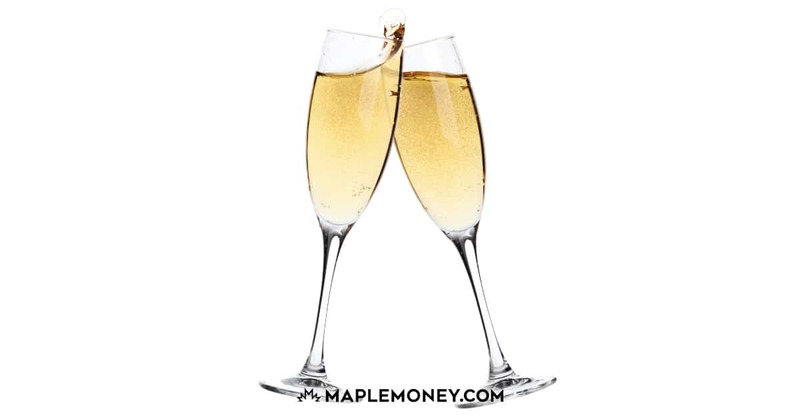 If you’re Canadian, look into RRSPs, TFSAs and any pension plans your employer might offer. Strategies for spending, saving, budgeting and investing are a dime a dozen, especially since the dawn of the internet. The hardest part can be finding the one that works for you and making it into a habit. You’ll know you’ve found it when you realize you’re thinking a lot less about money and a lot more about the people and pursuits you value more than money. Should you learn as much as you can about your money options? Sure. Read all the good books. But once you’ve learned what you can, don’t be afraid to toss out the rule books and write your own. So you’ve basically automated a few strategies for looking after the important minutiae of your financial life. Don’t forget to pull back and look at the BIG picture now and then. Money isn’t everything. If it wasn’t required to buy food and shelter, it wouldn’t be anything. Like everything else, it carries only the value we ascribe to it. Money has no intrinsic value. It’s just the tool we use to gain some of the things that do. While it’s really important to put money in it’s place in terms of allocating it to the goals we value the most, it’s also important to put money in it’s place in the context of our overall lifestyle. Where does money fit into your life? Do you think it takes up too much space, not enough, or just the right amount? You’re forgetting important dates like birthdays, anniversaries, and holidays. You’re always thinking about money and how to get more of it. You think that if you just tweak your portfolio one more time, you’ll be set. You’re exhausted from putting in extra time at work to earn more money. You haven’t enjoyed one of your favourite pastimes in over a month. I write about money every week. It’s easy for me to become too focused on the micro picture. I have to make a regular and very conscious effort to remind myself that I started writing about money to help people master it enough to forget about it for awhile. Do you ever find yourself micromanaging your finances? How do you get yourself to put things in perspective and take a more macro view? I often look at the big picture (macro) in terms of my big rocks. What are the 5 to 7 big categories in my life to focus on: relationships, moneys, business, health (I’m bad at this one), and faith. I believe in fostering an attitude of gratitude. The reason is simple. Being grateful puts the focus on what we already have rather than whatever it is we think we are lacking. I hear you. I tend to toggle back & forth between micromanaging and neglecting our finances. I find the number of choices out there kind of paralyzing sometimes – and they’re changing all the time! I guess the key is to just do the best you can and stay as close to balanced as you can get while accepting that you won’t achieve perfection – easier said than done!